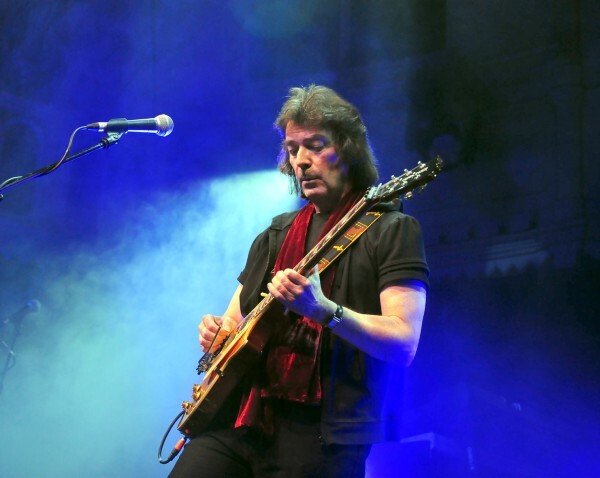 Steve Hackett has never rejected his legacy and has always been proud of what he and his former band-mates of Genesis had accomplished in the seventies. Revived as he is, after his divorce and marrying Jo Lehmann the man is as busy as ever. Solo albums almost every year, a very nice dvd and recently his project Genesis revisited part II. I realize a concert from this tour has already been published but I think the extravaganza of photo-material does justice to the artists involved. 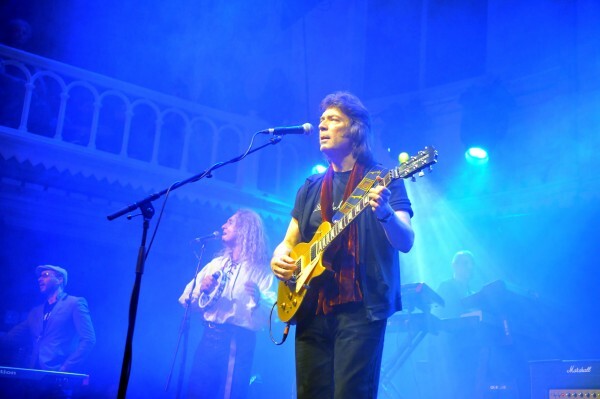 One of the best known and certainly one of the most established 'rock-temples' in the Netherlands would be the Paradiso in Amsterdam, the capitol city of the Netherlands. The Venue was packed and the atmosphere was truly great. Many people in the audience must have thought 'this is probably the last time we will see an original member of the legendary Genesis performing Genesis songs' and they were probably right. So quite a few people were there who do not go to concerts regularly but wanted to hear 'Genesis' again. It turned out to be a fabulous trip down memory lane and all the superb Genesis songs were performed in a way that brought a huge amount of enthusiasm in the crowd. Certainly with an opening like Watcher Of The Skies, one just can't go wrong. Songs from the albums Foxtrot, Selling England By The Pound, The Lamb, Trick Of The Tail and Wind & Wuthering were rendered very nicely by Hackett, Townsend (woodwind & keys), King (keyboards), O'Toole (drums & vocals), Pomeroy (bass, bass pedals and 12-string guitar) and vocalist Nad Sylvan who did a terrific job. Sometimes you really would think Pete Gabriel was on stage as well. A nice blues improvisation as an interlude proved to be an entertaining surprise. 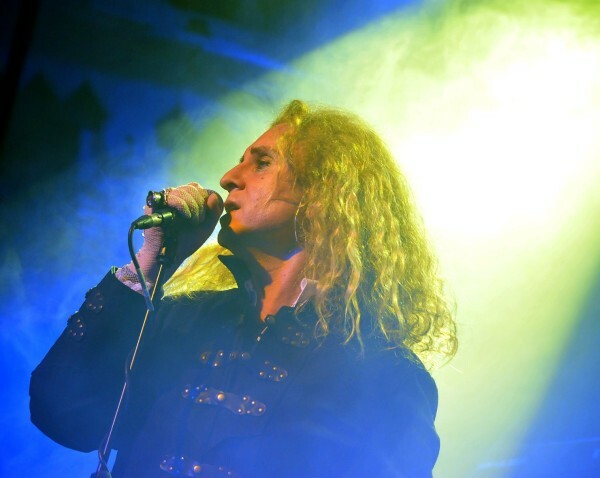 In spite of Gary O'Toole's short moment of weakness when he forgot a few lines of lyrics, the whole evening was one of great performances and the sold out venue proves that the music of Genesis is still alive and appreciated very much. 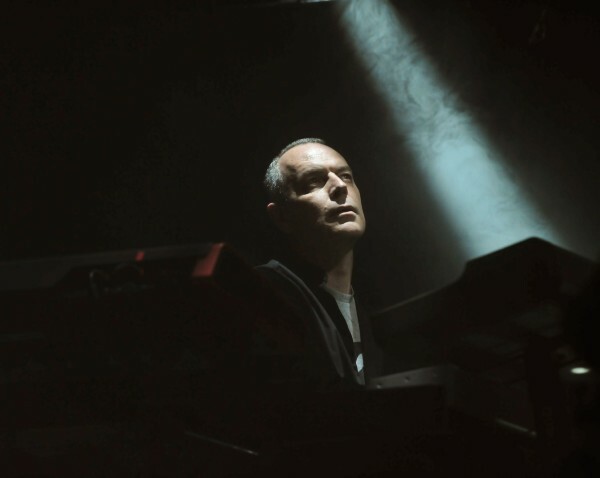 Admitted: not the stage performance by Gabriel and not the huge sound of the real Mellotron but the simple fact is: this show (only maybe equaled by The Musical Box (THE Genesis cover band from Canada) came as close to the original Genesis as can be possible at present. 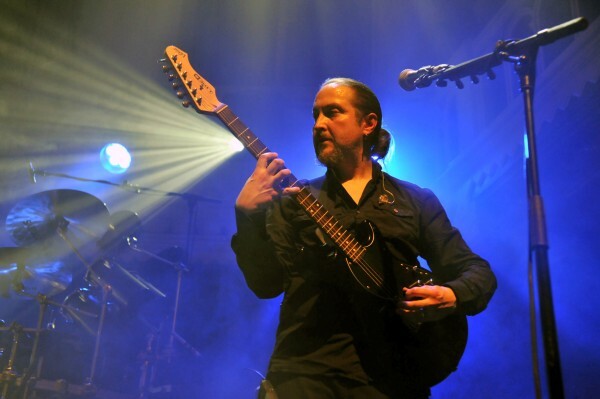 I'd like to mention Lee Pomeroy especially because he was handling the basses, pedals en twelve string guitars exceptionally well and I really doubt his performance could have been excelled by anyone including Mike Rutherford. 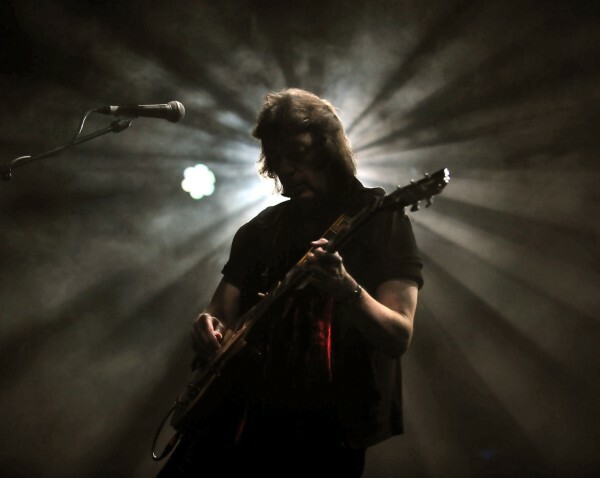 The interpretations by Steve Hackett were refreshing although the real fanatics will have been a little disappointed about the moog-solo in Firth Of Fifth originally played by Banks now performed by Townsend on his saxophone. On the other hand the show lasted for over 2 1/2 hours, longer than most Genesis shows I presume and with the crystal clear sound this night for me was one I won't forget easily: the music of the seventies with the sound quality of today... unbelievable, please give us Genesis Revisited III Steve! !